Ryanair’s policy of paying more attention to customer service has been highlighted as a key factor behind growth plans which are set to see a 25 per cent increase in operations at Birmingham Airport. Growth at Birmingham includes two new twice weekly routes to the Greek island of Corfu and the Lithuanian capital Vilnius as well as additional flights to Alicante, Barcelona, Dublin, Malaga, Malta and Palma. In all the Dublin-based budget airline is introducing 21 new routes from Birmingham in its summer 2016 schedule in a move that is expected to see its passenger numbers at Birmingham soar to 1.75 million each year. Ryanair’s head of sales and marketing, Carol Anne O’Neill, told the Post the airline’s growth at Birmingham, which outstrips its wider growth forecast, could at least in part be directly attributed to its ‘Always Getting Better’ programme. Introduced last year, the initiative saw a radical new approach to customer service and new bases, a new personalised website, a new app, new cabin interiors, new crew uniforms and improved inflight menus. Crucially it also offers allocated seating and the opportunity for passengers to have a second carry-on bag. Ms O’Neill said: “We did need to up our game in terms of the customer experience and we are seeing more passengers travelling with us because the customer experience is now a much better one. Ryanair has certainly enjoyed a resurgence. Following two profit warnings in 2013, in September this year the airline increased its full-year profit forecast to between €1.18 billion and €1.21 billion. Ms O’Neill said the additional routes at Birmingham are part of wider growth plans for the airline. It currently has 328 aircraft but has ordered 380 new aircraft as part of a renewal that should see its fleet grow to 520 aircraft by 2024. In addition to the new routes at Birmingham, Ryanair’s expansion at the airport sees its Dublin service increase from four to six flights a day, while its Barcelona service increases from one flight daily to nine each week. The Alicante service will increase from ten flights a week to 14, Malaga from a daily flight to nine a week, Malta up to three a week from twice-weekly and Palma up from seven flights a week to nine. 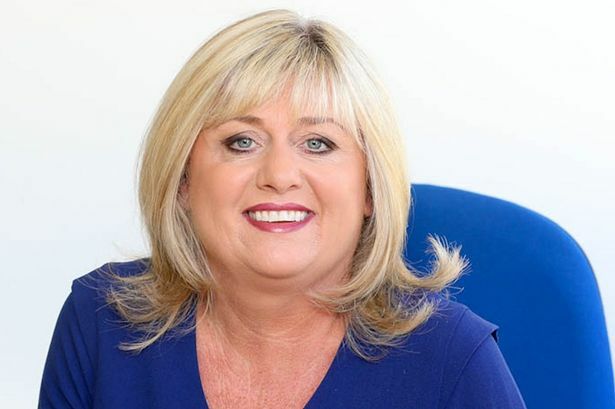 Ryanair’s Always Getting Better programme has also seen the launch of a business class service on all its flights and Ms O’Neill said the airline is keen to attract more customers from the business community, particularly in the Midlands. “We want to attract the business customer, so launched our Business Plus and we will continue to enhance that,” she said. “Business Plus was launched at the end of August 2014 and we have had a very good response to it - it is growing. Among other features it includes being fast-tracked, priority boarding, allocated seating and an additional baggage allowance. Ryanair’s growth at Birmingham also demonstrates it commitment to the Midlands, according to Ms O’Neill. The airline’s presence at the airport, which is estimated to support 1,300 on-site jobs, dates back to 1993 and it has had a base there with two aircraft since 2008.